Many of us are familiar with the disease called Rabies. We were taught to fear animals that are seen frothing at the mouth as they may infected with the deadly disease. We vaccinate our pets against Rabies as it has long been considered a standard of routine health care. But why? How often is Rabies actually seen in Colorado? Should you really be concerned? 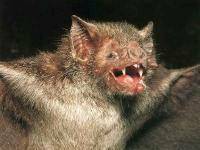 Prior to 2007, Rabies was only known to be in the bat populations in Colorado. It was very uncommon to find other animal species infected with Rabies in Colorado. In 2007, the skunk strain of Rabies virus was detected in multiple skunks as well as a fox in Colorado. Since then, the skunk strain of Rabies virus has been reported with increasing numbers every year. Rabies infection has now been documented in numerous species of wild and domestic animals in Colorado including raccoons, livestock, horses and cats. Rabies is a virus that is most commonly spread through saliva into bite wounds. The virus migrates from the bite wound through nerves to the spinal cord and into the brain. Infected animals will show different signs of Rabies depending on what part of the brain has been affected. Animals can show signs of decreased fear (especially in wild animals), aggression, disorientation, paralysis, or any other abnormal behavior. Animals can show signs of Rabies infection as soon as 10 days after being bitten and up to several months later. There is no treatment for Rabies in animals and they usually die from the disease within days of showing clinical signs. People can be infected with Rabies in the same way that animals can and the disease can be just as devastating. However, people are more likely to contact domestic animals than wild animals. By protecting our furry family members with Rabies vaccination we protect ourselves from exposure of the now real threat of Rabies in Colorado. So, what can you do to keep your pets safe? The first thing you should always do is keep your pets up to date on their Rabies vaccine. Even pets that do not normally go outside should be properly vaccinated. Rabies vaccines can be good for 1-3 years so follow what your veterinarian says as far as how often to get a booster vaccine. You should also try to limit exposure of your pet to wild animals when possible. Some ways to do this are to make sure to not leave food outside that will attract wildlife, keep pets indoors or in a fenced yard, and walk pets on a leash especially in areas where wild animals will likely be present. If your pet gets bitten by a wild animal or is found with bite wounds, they should be seen by a veterinarian immediately. Not only will their wounds need to be addressed but they should receive a post-exposure booster vaccination for Rabies. This post-exposure vaccine is only effective if your pet was previously vaccinated. If any pet is bitten by a wild animal that tests positive for Rabies, they will need to be quarantined or at least closely observed for a period of time. This will be decided by a public health official but typically unvaccinated pets require a much longer period of strict quarantine. If at any time a pet who was bitten by a wild animal develops signs of Rabies infection, they must be humanely euthanized. Animals are humanely euthanized not only to minimize spread of the deadly disease but also because Rabies is invariably fatal in animals. So now that you know that Rabies virus is a real problem in Colorado, make sure to protect yourself and your pets from the deadly disease. Vaccinating animals against Rabies is crucial to minimizing its impact and spread. In the unfortunate event that your pet is bitten by or in contact with a wild animal, make sure that they are seen by a veterinarian as soon as possible even if their wounds seem minor. AMVS is a 24-hour veterinary facility providing specialty internal medicine, surgery, neurology, oncology, emergency and critical care, physical rehabilitation, pain management, and blood bank services for pets. They are located in Longmont at 104 S. Main St. For more information, go to www.AspenMeadowVet.com. Site contents copyright © 2019 Recorder Online	except as noted. All rights reserved. | 90 queries in 2.098 seconds.